If there is one aspect of the tech world that people can count on, it’s the pace of change. If you are creating a website yourself or have a website that’s already built you need to learn how to create a mobile friendly website. We live in the digital age where we can readily access online information using our tablet, smartphone or games console, as well as laptops and desktops. And it’s only a matter of time before wrist watches and other wearable tech become mainstream operating devices. As people switch to more convenient methods of communication and information sharing your website needs to adapt and evolve with technology. 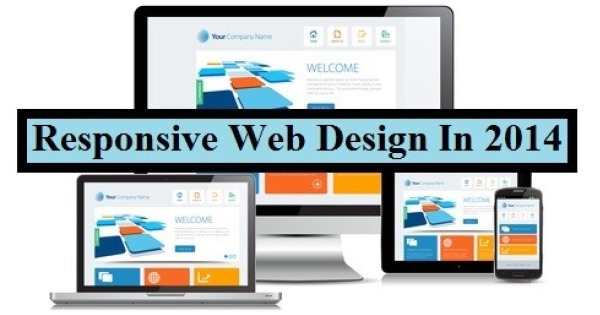 A good web design company will make it their business to understand your target audience, considering user habits to maximize accessibility and increase traffic to your website. Recent studies have shown that websites adopting responsive design have increased their reach by up to 64%. Accessibility is key. By offering alternative platforms as well as making them accessible for hearing and visually-impaired people, companies show that they are keen to make the website experience a positive one. Yes, they care about their smartphone users, their tablet users, and their computer users. Companies want to show that they are ahead of the game. That begins by making sure your site is up-to-date on a technical level. Responsive web design demonstrates progress and professionalism; for consumers, a website that isn’t accessible on all platforms can be perceived as outdated and behind the times. Television, print and outdoor media simply can’t compete with the vast world of online content and social media. For a company to be successful, the website needs to cater for the majority of potential customers who are curious to know more about the brand. Its simple, your site must have a responsive web design or you will loose out. Just as search engines make their own judgement about websites, so do consumers — so high quality on all platforms is necessary to keep the viewers engaged and convinced about the quality of the product. Mobile sites are generally considered safer in regards to sharing secure information,as well as private credentials, to the extent that many users prefer to make their transactions on the phone rather than via a computer. With the advent of 4G alongside Wi-Fi and other networks, mobile and tablet websites can often be navigated quickly and effectively, requiring less content to download. This is especially attractive for business people, on-the-go researchers, commuters and other small device users. Following the faster browser experience, responsive design allows for an overall more positive user experience, not only for its accessibility but for convenience too. For instance, people are more likely to carry their tablets and smartphones around and use them regardless of where they are; these are times when leisurely browsing and spending have more potential than ever before. With a responsive web design, a company has a myriad of possibilities to explore, and has already paved the way for future innovation. While other companies struggle to keep pace, a website that is easily accessed through multiple devices can expect to see a significant increase in visitors. Before you can have a responsive website you will need to build a website and we have some great tutorials on the best way you can get online and learn how to make a website in a few easy steps. Andy is a Director of www.thisisbeyond.co.uk, a leading Web Design Company in London, specialising in user-centered branding and digital creative services. He specialises in UX led, responsive web design. Andy’s passionate about the power of digital to influence user behaviour.